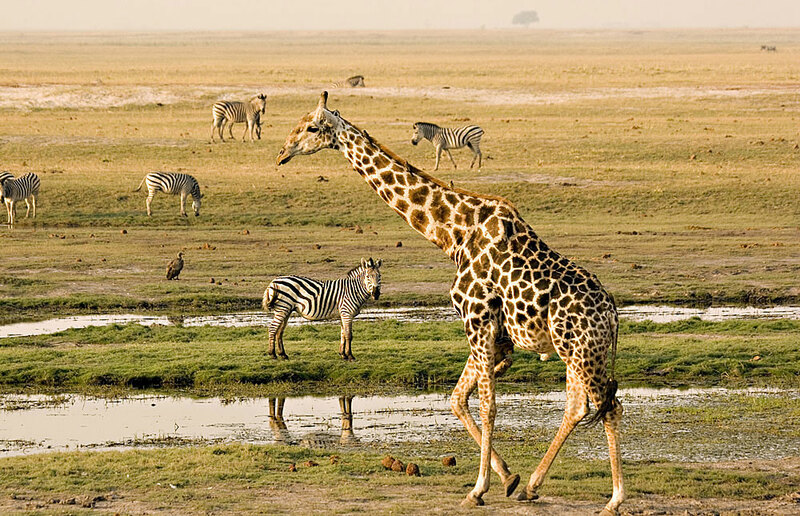 If you’re looking to get away from the crowds, then Botswana is the ideal African safari destination. Priding itself in its ‘high quality, low impact’ travel philosophy, you’ll avoid bumping into tourists and enjoy a feeling of exclusivity. Botswana has so much to offer, in fact, is believed to have the biggest population of elephants in Africa. If you’re thinking of going to this Southern African destination, here’s how you can spend two weeks in Botswana. One of Africa’s premier wildlife destinations, the 11,000 square kilometre Chobe National Park is made up of a variety of different ecosystems - riverine forest, rocky outcrops and floodplains. 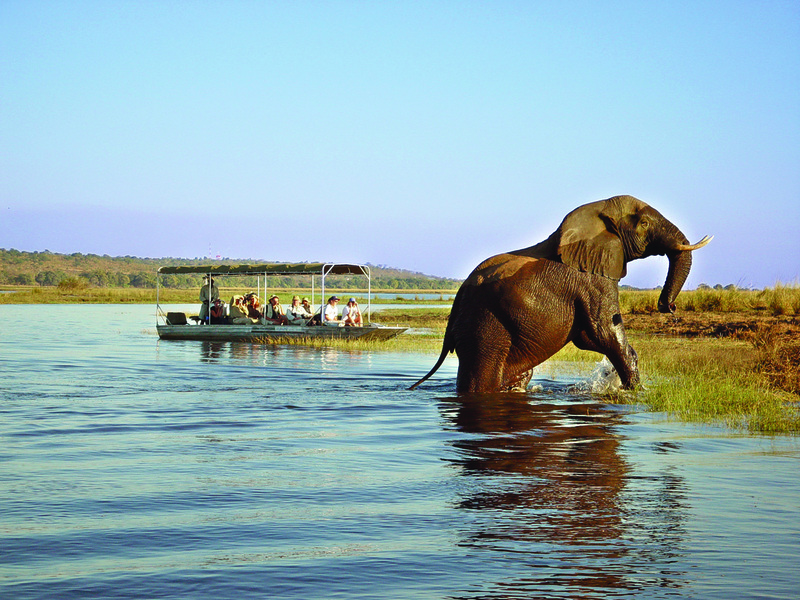 Chobe is also Botswana’s oldest and most diverse National Park. Some of the wildlife on show here include giraffe, impala, zebra, cheetah, wild dog lion and many more. 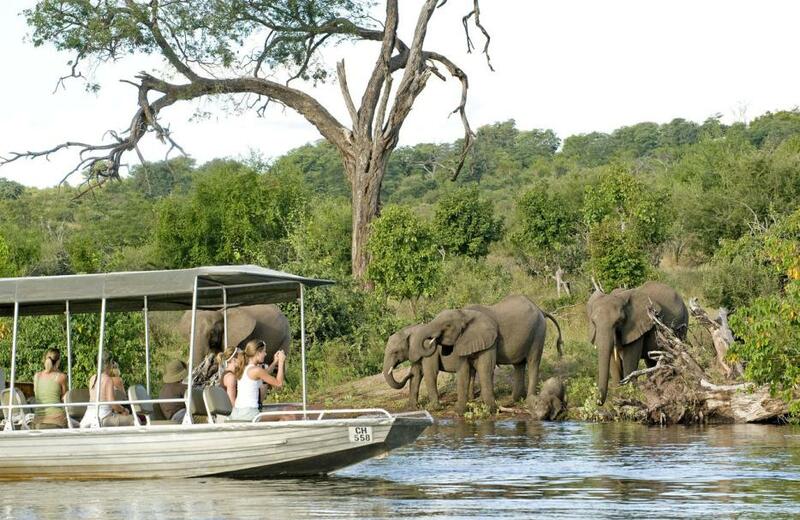 If you want to see elephants, then the Chobe National Park should be right on top of your list. It’s estimated that Chobe’s elephant population ranges between 45,000 and 75,000. 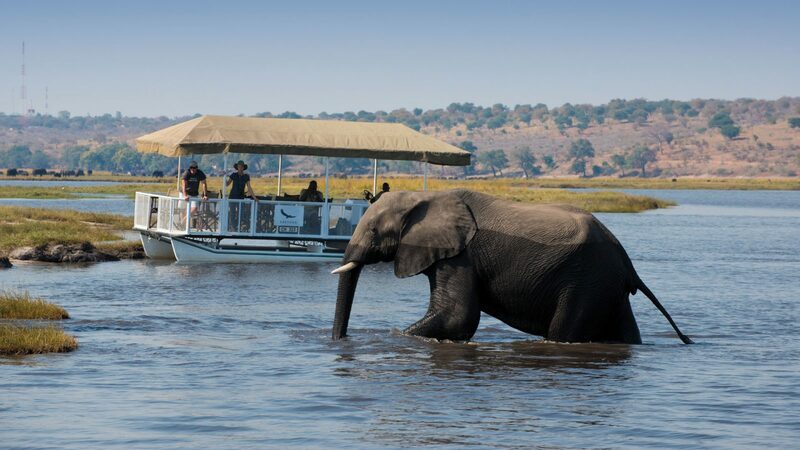 The best way to see them is to go on a boat cruise down the Chobe River, where these massive herbivores bathe and rehydrate. 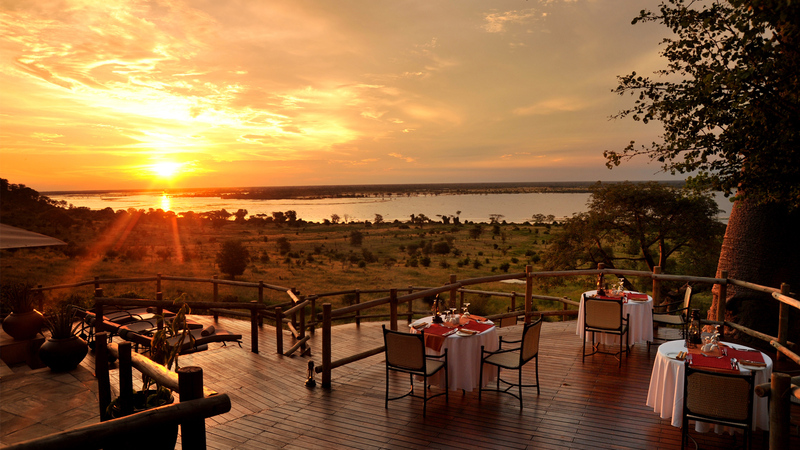 Camp Linyanti is located in the north-eastern part of the Chobe National Park. 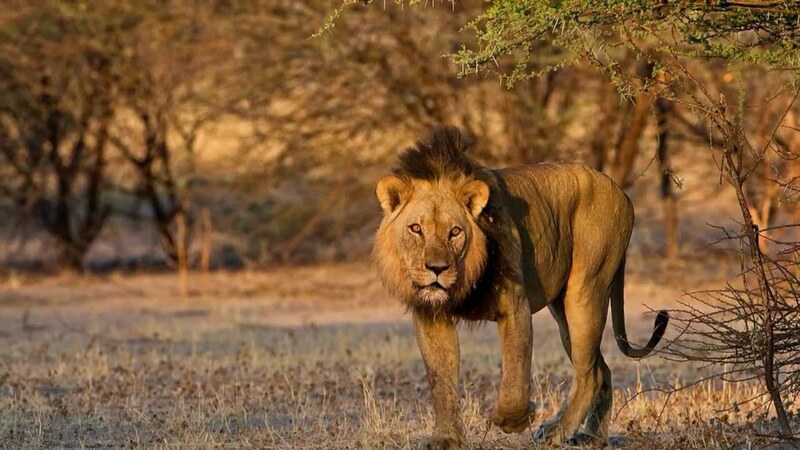 The Linyanti area is known for being one of the best game viewing areas in Botswana. 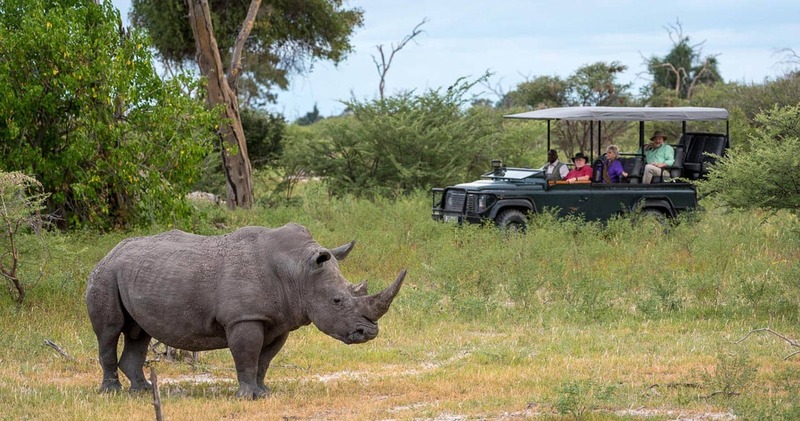 Ngoma Safari Lodge is located in the Chobe Forest Reserve, only five kilometres away from the Namibian border. Offering eight suites boasting ultimate privacy, you’re able to look over the Chobe River, keeping an eye on any species of wildlife that comes for a drink. 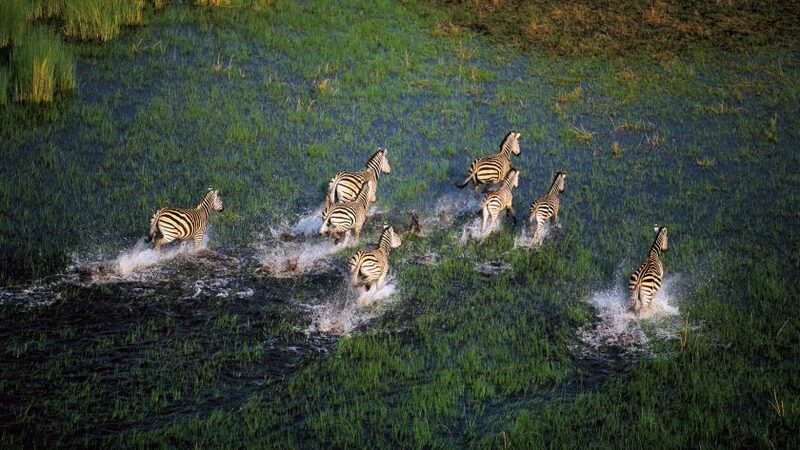 Also known as the river that never finds the sea, the Okavango Delta is a group of channels flowing through Botswana. Eventually, the river reaches and ends in the Kalahari desert. 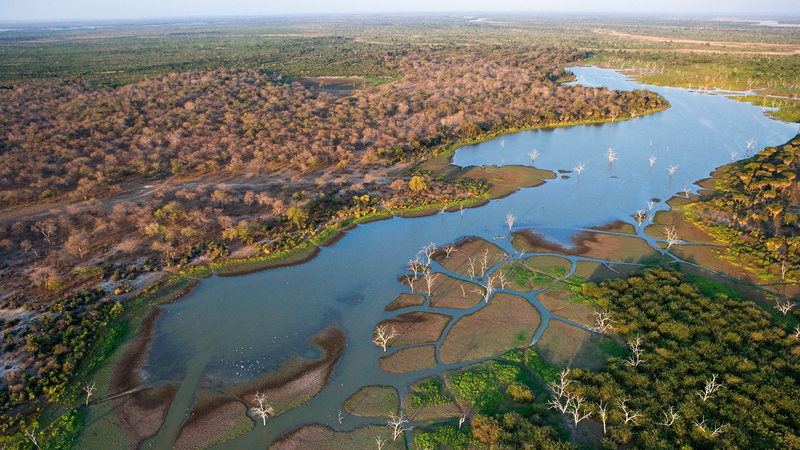 The Okavango Delta is the third largest alluvial fan in Africa and still an untransformed wetland system. The delta is also UNESCO’s 1000th World Heritage Site. The Okavango Delta attracts a high diversity of wildlife. 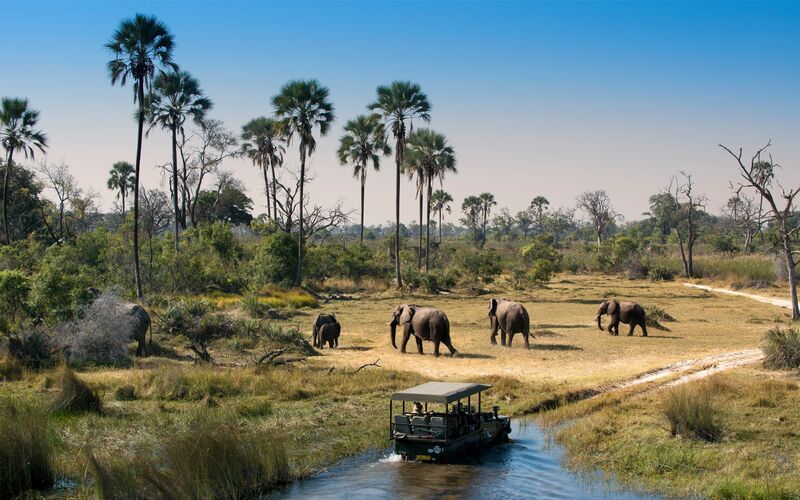 On a Botswana safari in the Okavango Delta, you might see lions, cheetahs, leopards, African wild dogs, buffalos, giraffes and elephants around the water. Hippo’s and crocodiles can also be seen lurking in the waters of the delta. 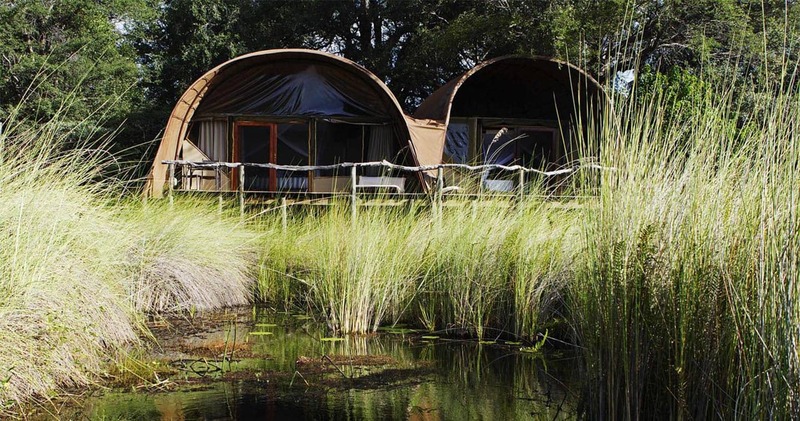 Nxabega Okavango Tented Camp is located at the border of the Moremi Game Reserve. 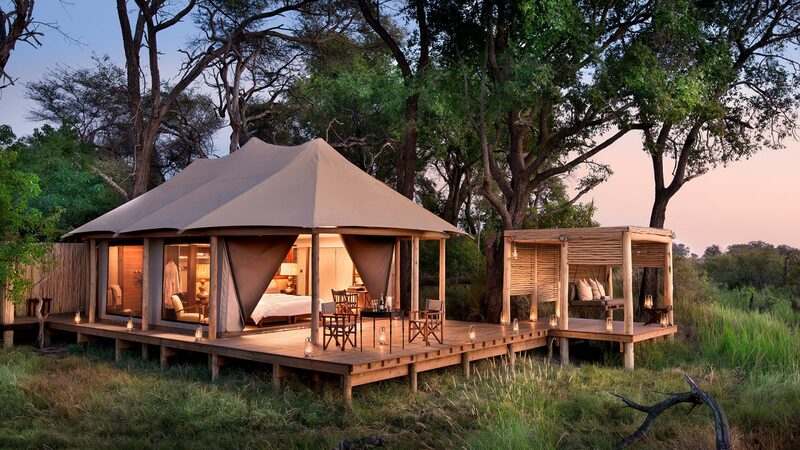 From the camp, you’ll be provided with breathtaking views of the Okavango Delta. Sandibe Okavango Safari Lodge looks out on the plains of the Okavango Delta. You’ll wake up with the sound of animals around you and spot them from the lodge. The Moremi Game Reserve covers the eastern side of the Okavango Delta. Its landscape contains forests, lagoons, islands and floodplains. 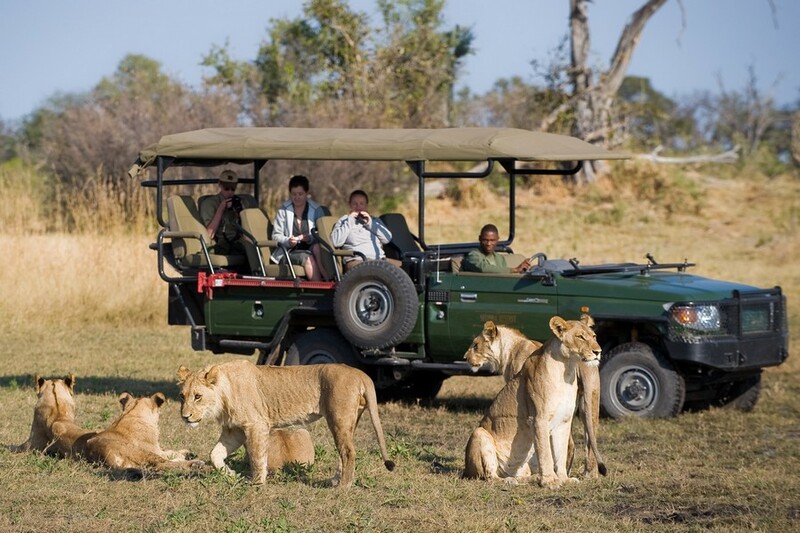 A safari to the Moremi Game Reserve can be done all year round. 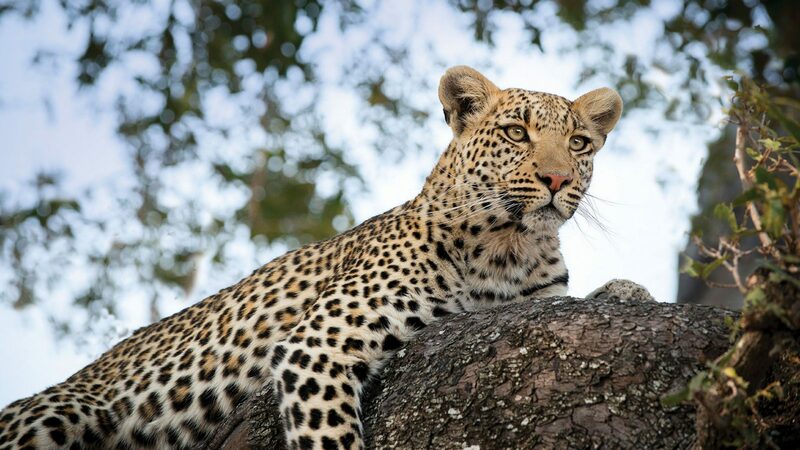 While going on a safari you might spot lions, cheetahs, leopards, elephants, wild dogs, zebras and many more. 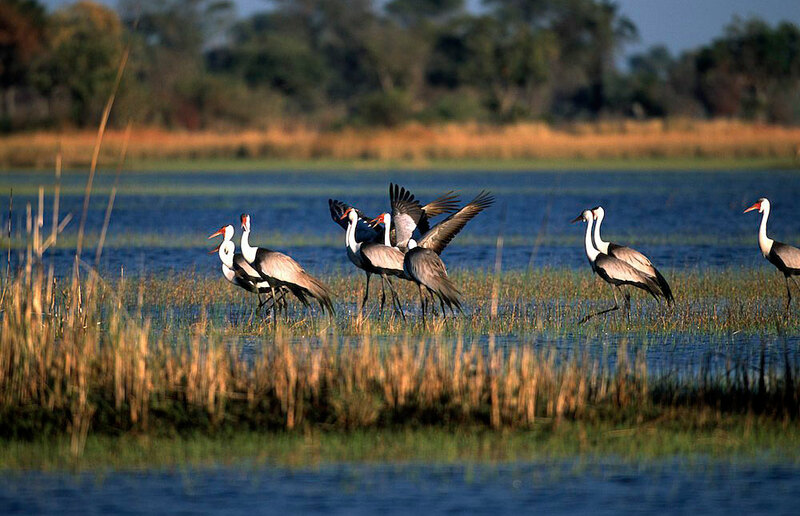 Bird watching is also highly regarded at the Moremi Game Reserve, there is a high diversity of bird species as well. Over 500 bird species are recorded in the reserve. 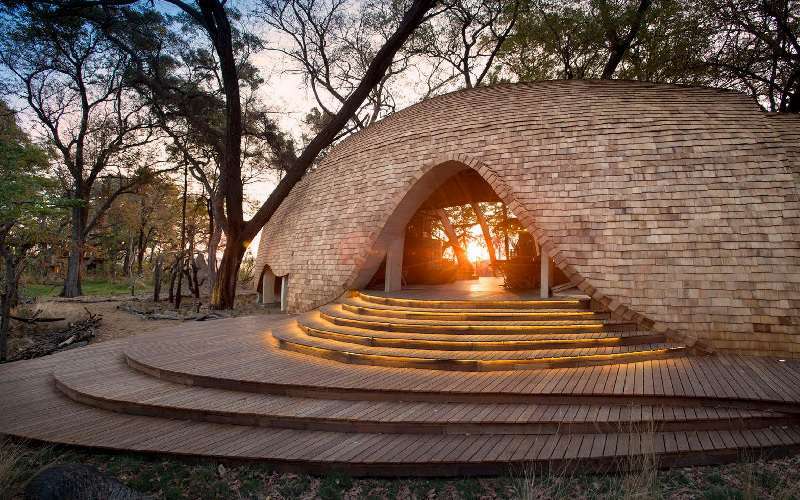 Camp Moremi is located in the Xakanaxa area of the Moremi Reserve. 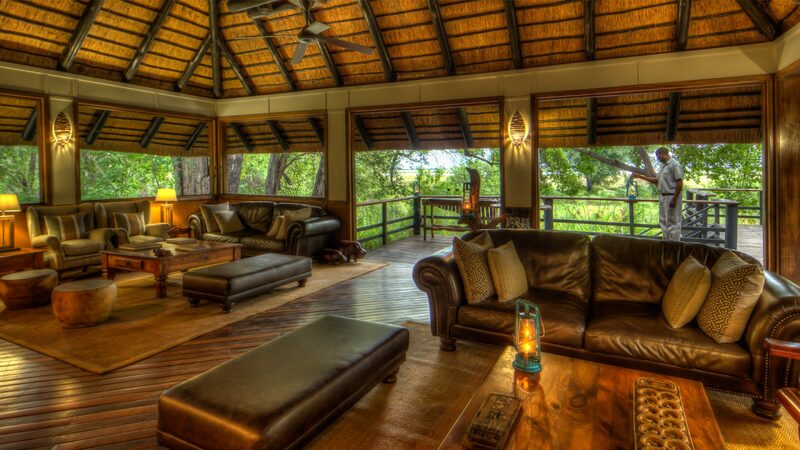 The camp offers you a real feeling of the African wilderness. From your tent, you’ll be able to look over the Xakanaxa Lagoon. 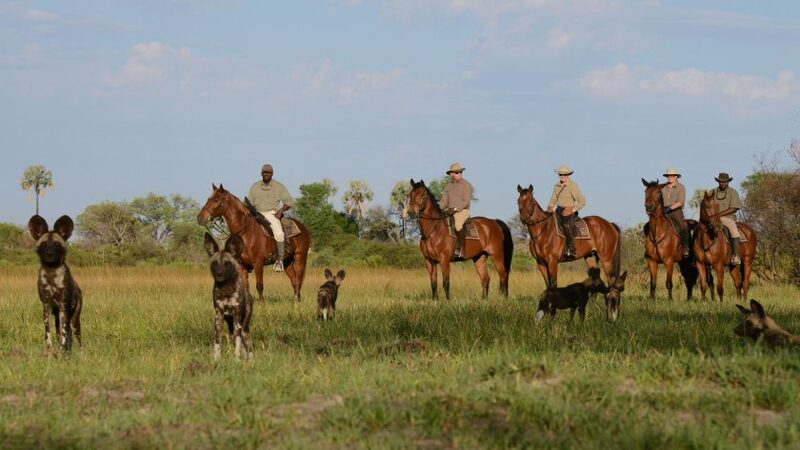 Okuti is located along the Maunachira River in the Xakanaxa area in the heart of the Moremi Game Reserve. It offers great views on the river from your room. 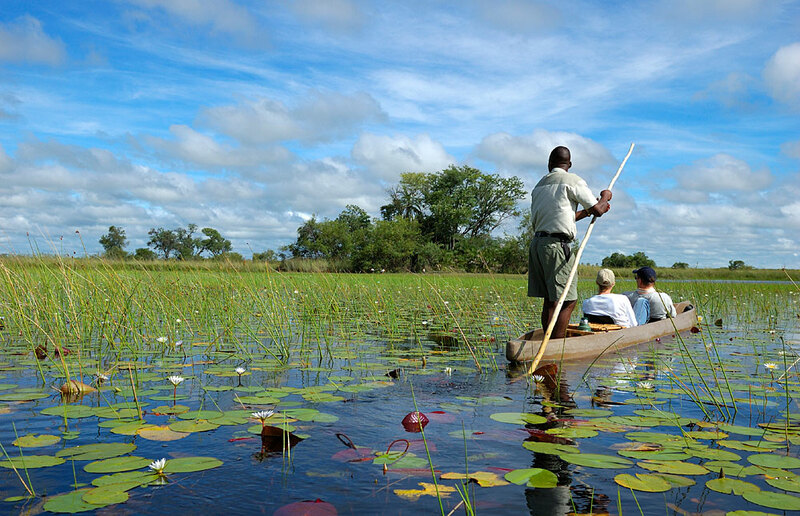 Travellers can also venture through the lagoons and winding waterways of the Okavango Delta. 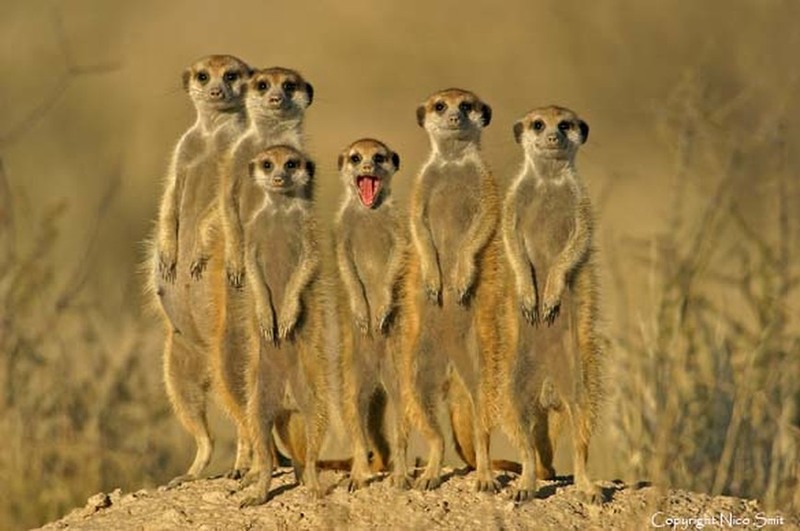 Best time to go: The best time to visit the central Kalahari Game Reserve is between March and May. The Central Kalahari Game Reserve will give you a feeling of having an unending space for yourself. In Southern Africa, it is the most remotely situated and largest reserve. Besides, it is the second largest wildlife reserve in the world. The park was recently opened after 30 years of being closed to public visitors. Now, each year only a small amount of visitors enter the region. 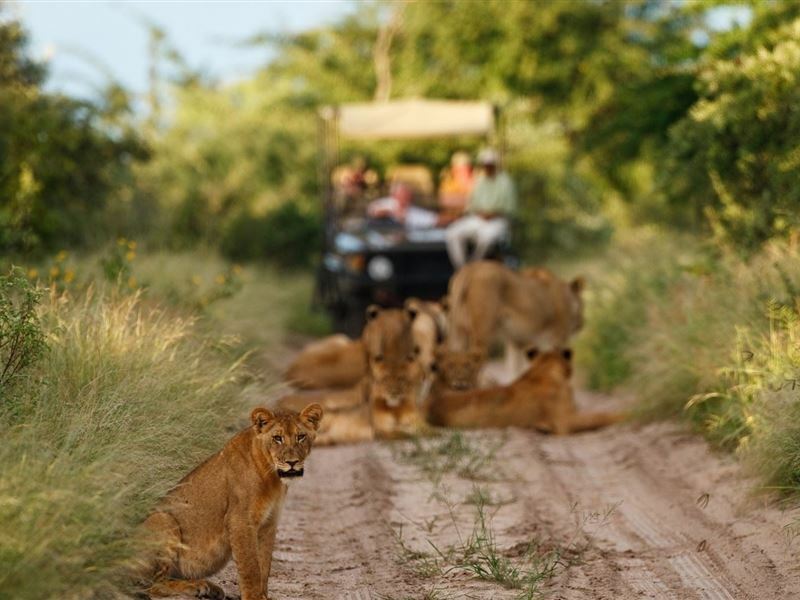 Directly after and during the summer rains, the northern part of the Central Kalahari Game Reserve is full of wildlife. The flat grasslands attract large herds of springbok, gemsbok, wildebeest, hartebeest, eland and giraffe. During the rest of the year, the animals are more spread over the whole reserve. Tau Pan was one of the first safari camps built in the Central Kalahari Game Reserve. The camp is built by taking the delicate ecologies into account. From the camp incredible views of the sand dunes can be seen. Tau Pan offers a lot of activities for its visitors. Lebala is located in the south of the Kwando concession. 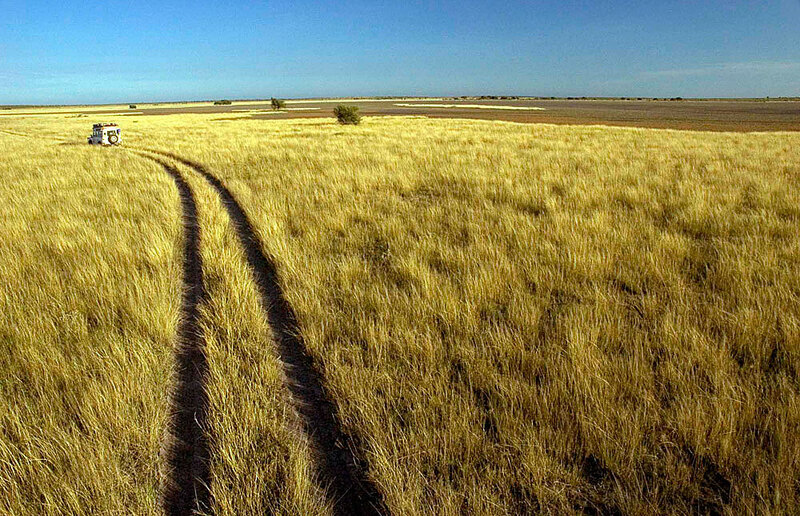 ‘Lebala’ means ‘wide open spaces’. 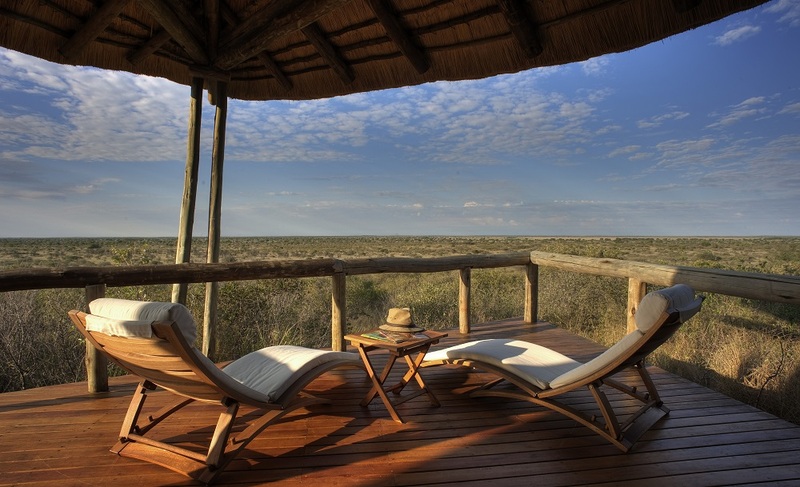 From your own viewing deck in your tent, you can look over the spacious sand dunes of Botswana.